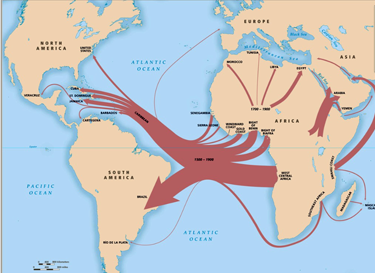 Overview of the slave trade out of Africa, 1500-1900 (maps courtesy of Voyages: The Trans-Atlantic Slave Trade Database). 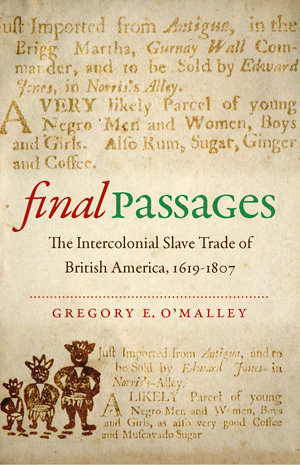 Gregory O'Malley's recent book, Final Passages: The Intercolonial Slave Trade of British America, 1619-1807, has received multiple awards for helping to redraw the map of the forced African immigration during the slave trade era. On a typical day, over 1,000 visitors consult the website Voyages: The Trans-Atlantic Slave Trade Database, one of the most utilized resources in the digital humanities. Drawing on four decades of archival research on five continents, it offers free public access to the details of every documented slave-trading voyage that carried enslaved people from Africa to the Americas. 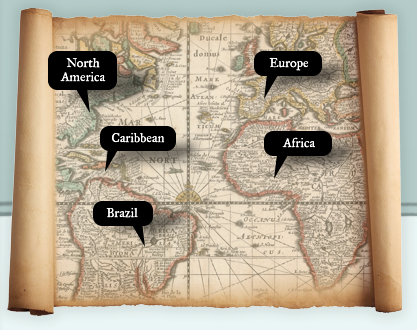 Now in its seventh year with 35,000 documented voyages to date, the site has become the basic reference tool for anyone who studies the transatlantic slave trade—including teachers, genealogists, scientists, and scholars. The Voyages web site is, however, limited in one key area. It only includes slave-trading voyages that crossed the Atlantic Ocean. But recent research has shown that arrival in the New World from Africa did not always mark the end of a captive’s journey—approximately 25 percent of arriving Africans actually soon boarded another ship for distribution within the Americas. 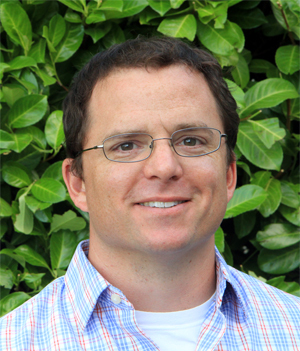 A significant piece of that new research was conducted by UC Santa Cruz associate professor of history, Gregory O’Malley. His recent book documenting the intra-American slave trade, Final Passages: The Intercolonial Slave Trade of British America, 1619-1807, has received multiple awards for helping to redraw the map of the forced African immigration during the slave trade era. Now with the help of a $220,000 grant from the National Endowment for the Humanities for a project titled Final Passages: The Intra-American Slave Trade Database, O’Malley plans to add his research to the Voyages database. The project will create an interactive, free Web-based database about the slave trade within the Americas and integrate it into the Voyages site. O’Malley noted that another part of the NEH grant is to hire researchers to gather more information on places that haven’t been studied, such as the internal movement of slaves in Brazil. This includes research from his co-principal investigator on the grant, UC Irvine history professor Alex Borucki. “We want to add material that Alex used to write his book tracking slaves from Brazil to what is now Argentina and Uruguay,” said O’Malley. O’Malley stressed how the Voyages slave-trading database has helped scholars understand the massive scale of the slave trade. “The fact that there are thousands of these shipments, and that traders in all kinds of business were also trading slaves, really indicates how ubiquitous slavery was in early American society,” O’Malley noted. O’Malley said that the major goal for the 18-month project is to promote scholarly and public awareness of the role played by the African slave trade in the Atlantic world, which shaped several inland regions in the Americas and even the Latin American Pacific Rim.